It’s that time of year once again. I started this last year and I plan on continuing it again this year. Most bloggers take the month of October as the time to focus on horror movies since it’s near Halloween, but I thought that March is a good month to take a look at horror movies as well, to help spread the love of horror outside of the fall months. And besides, March is still the early part of the year which is generally the cinematic dumping grounds with a lot of poor movies in theaters. I’d love to make this a big event, and this year I’m keeping things a bit more simple so I’d love it if you would join me! Horror movies and thrillers based on comic books. You can check out the list I’ve made at Letterboxd for several suggestions, but be warned, there are just as many misses as there are hits in there. I will also accept horror movies with striking visuals that you think would make a good comic book, like the Cell, Hellraiser, or Alien. Just be sure and take and share several screenshots showing off the great visuals. 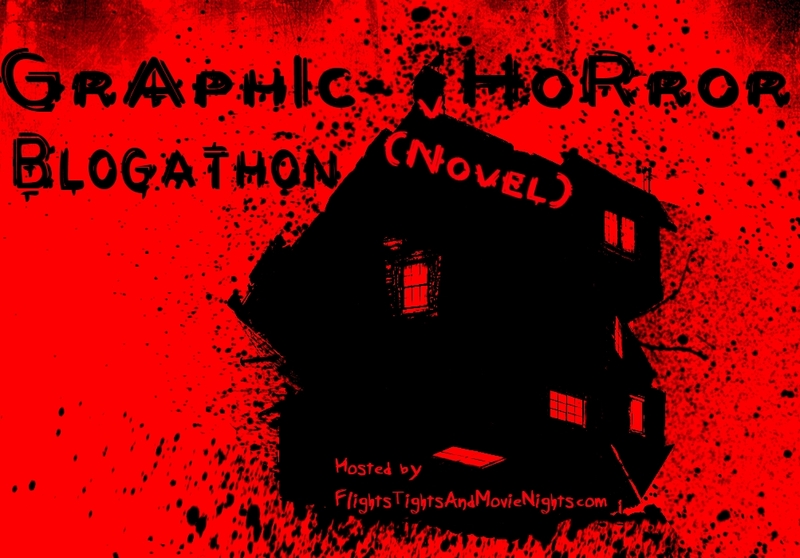 The entire month of March, each week I will share any posts that are joining in the blogathon. You! I will also be watching and reviewing several horror movies that I haven’t gotten around to yet like Whiteout, Virus, and Dr. Giggles. If you’d like to participate, leave a comment below or send me an e-mail Bubbawheat@msn.com with your site & which movie you want to cover. A list of those currently signed up will be right below, I’m also fine with multiple people covering the same movie. 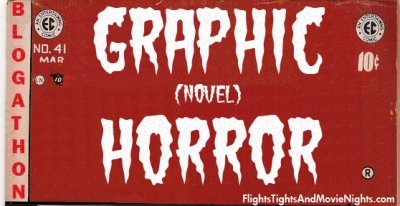 Posted on February 12, 2015, in Blogs and tagged Blog, blogathon, graphic horror, horror. Bookmark the permalink. 20 Comments. Can I do The Crow? Sure thing! I always thought of it as more of an action movie, but i think there are enough horror and thriller elements to include. Thanks for joining in! Hmmm….let me think about it. Maybe I’ll do Blade? This sounds awesome and I would love to join. I’d love to write about From Hell! Thanks! I’ve heard mixed things about that one, but curious to check it out myself as well. I definitely want in on this. Not sure what I want to write about just yet, though. I’ll come back and let you know. Nice! You’ve got plenty of time to pick a good one. I’ve heard good things about that one, I’ll put you down for it. Sure thing! I’ll put you down for it!